God is working with you in your life. He is working behind the scenes in Heaven with you now. He is always available to call upon, always lending an ear to those who are heartbroken, sincere, just, faith-filled- you are His child. He sees you with love and asks you to remain faithful to Him. Remain in faith when you ask in prayer for something. He has heard you from a high post. The Most High post in Heaven. He sees you with compassion always. He understands your needs and will help you now, at this time, without hesitancy, and always. He hears your heart, the rhythm, the sound, the intention, the desire, the longing, the understanding, the consciousness, the love- the way you pray was taught to you by Godsends, for He Heard you when you asked ,” How should I pray?” He loves you and your family very much and is helping them too ! Lift up your prayers with sincerity , love, and complete faith, knowing that God is the One you serve, who hears you and is close to you as He always has been. Lift high your prayers always to the One who is with you, God Almighty, maker of Heaven and Earth. Greetings , we angels will help you lift – for we are here with St. Michael who will help you lift up your prayers, who will pray with you. Do not let your heart be troubled, ask in faith for what you are thinking, are hoping for. What your heart truly desires is oneness with the Most High in all circumstance. This is already done beloved. For you are already One with God. He has never left you, and never will. You are His beloved child and you are created with His understanding and love; Unconditional Love. Take a few breaths now and intend to just open your heart , open your heart to God; say to yourself, ” I am one with the Highest” and ” I am one with the Highest Possible Outcome.” Pray first before all endeavors and we will help you open your hearts and lift up your prayer. Ask God in sincerity and faith for what it is you are asking Him for- For help with your loved ones? Health? Abundance? Physical Needs? Understanding? Lift them all up, if needed, then ask ‘How can I serve?” – “How can I serve you?” “How can I serve others with what you have blessed me with?” Give thanks Beloved, for you are blessed. To you much is given and to others, much will be also. Trust in God, in His Hands, In His Works. Trust in the Most High, and His Son, Jesus Christ who loves you. We angels will help you lift these prayers to Heaven, deliver them to God, and send you guidance if needed. We angels love you and so it is. 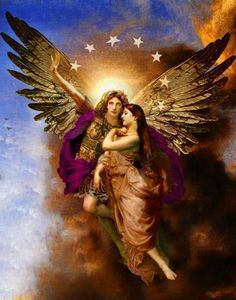 Allow you heart to open , as we lift you, we angels with St. Michael and the ‘Angeles’ surround you now, surround your heart, your loved ones and your home. The angels , Archangels are here to protect you, to open your heart and mind to the Oneness of the Love of God. Sit back in a conformable and relaxed position. Take a few relaxing deep breaths and listen for any guidance you receive. This will come in the form of insight, inner knowing, clear hearing, and audible voice, an idea in the form of an epiphany, a thought, a knowing, visions, a feeling- a loving feeling especially – that is how you know the angels are with you. The angels will always wish you peace, and never want you to feel anything other than love and peace. Your guardian angels are here with you also. They love you and always will. They are here to help you with your calling, your invitation, your guidance, your life purpose, higher understanding, wisdom, intellect, ideas, thoughts. They will even be with you in your dreams. When you are alone, there are many with you- for you are never alone. God loves you and so does the ‘Angeles’ who are sent here to love you. This is sent to you for a knowing to trust when you are feeling doubt, or in any circumstance of the ego. Trust in us now . 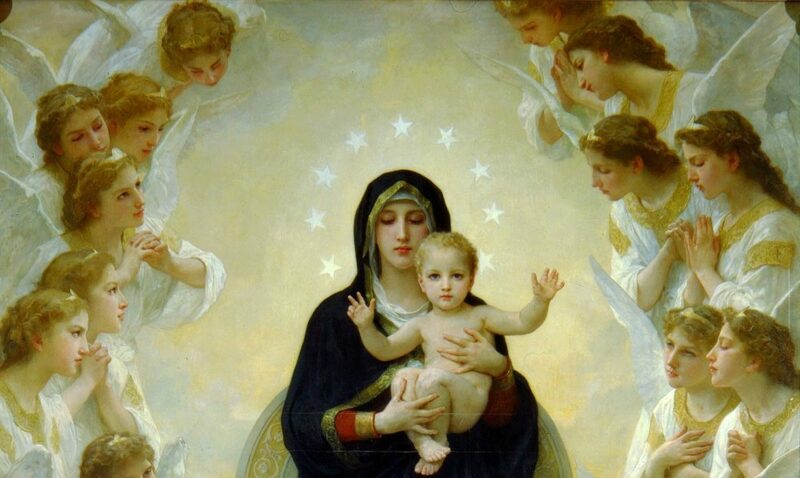 The angels open your heart to love, feel God’s warm embrace as we open your heart further. He is with you, loving you every step of the way, and will always be there. and so it is beloved. We bless you in this moment, we will lift your heart anytime you ask. Lift up your heart when you pray, knowing that God’s love is always available to you. Now and always. and so it is amen, amen, amen.